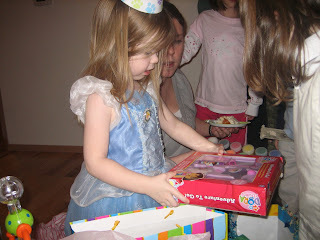 Madison turned 3 on Sunday and we celebrated all week long! Since her birthday fell on Sunday this year and since most of the friends she has already come to Bible study we just decided to have a little party for her then. We decorated the house with birthday puppy stuff and then had cake/cupcakes with everyone! 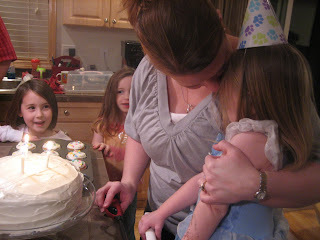 She had a great time although she got really shy during the happy birthday song! Unfortunately Madison has not been in a real picuture-taking mood so we haven't been able to get many great shots of her. Here are a few though! 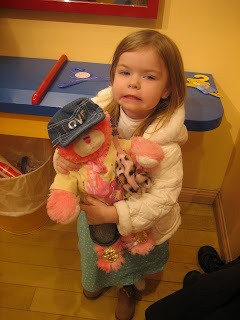 She got to do Build-A-Bear for her birthday. 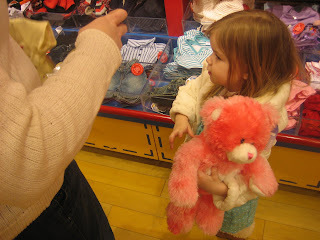 This is after she made her bear and is picking out clothes, etc. 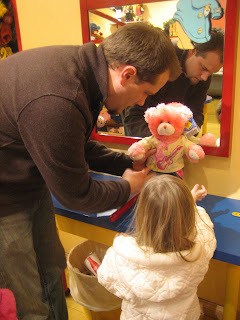 Here is daddy helping get the bear dressed. Here is the final product...which she named Hannah Montana. And I have no idea what that cheesy grin is for!?!?!? 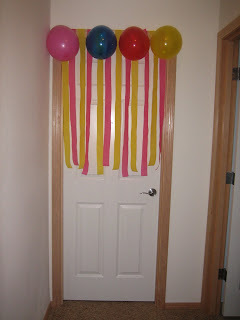 We have a tradition that we decorate the girls doors the night before their birthday so that when they wake up on the birthday the first thing they see is a little celebration! Here is what Madison's door looked like. 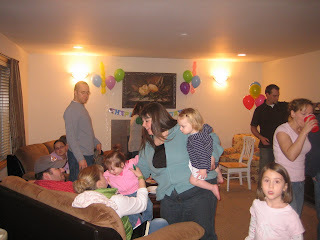 Here is her party. You can see some of the decorations in the background. Madison not enjoying the birthday song! 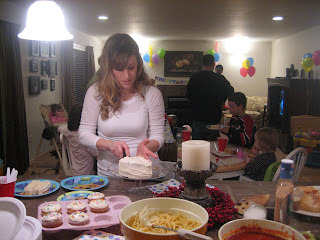 Becky cutting the cake...which she made!!! I can't believe it but Christmas is over. In fact, as I write this I am realizing that it's not only over but it's already the middle of January!!! 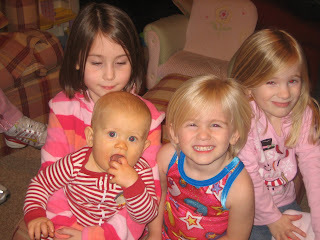 How time flies by when you have 3 small kids! 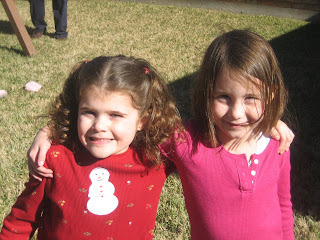 :) We had a great Christmas! We were able to celebrate Christmas day in Arlington in our new home with just our family which was wonderful. We then headed to Texas for a 9 day trip. It was so fun to see all of our family and a few of our friends! We were very exhausted by the end of the trip but were so thankful we were able to go! 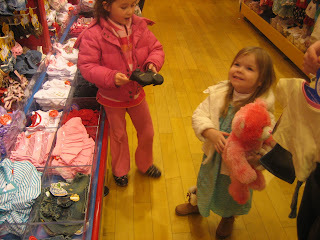 Here are a few "final" photos from our holiday season! 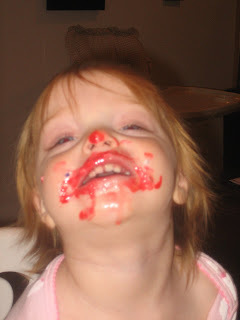 Taitlyn once again enjoying the icing for whatever project we were making! 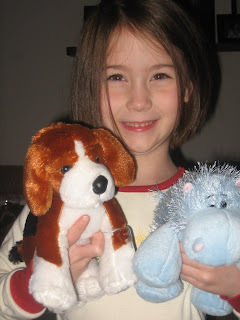 Here is Rylie and her new Webkinz! 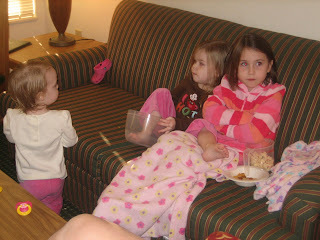 Here are the girls relaxing in one of our hotel rooms...eating a delicious snack from Mimi! Here is Rylie with our friends Emma, Regan & Isaac! Apparently our other girls were not in the mood to have their picture taken! And finally...probably the most popular Christmas present. 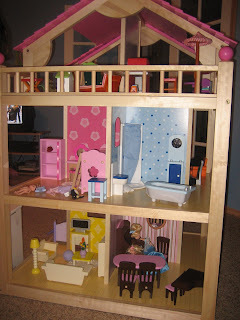 A gigantic doll house that Santa brought. 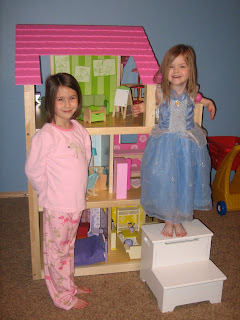 Madison even has to stand on a stool to reach the top floor!